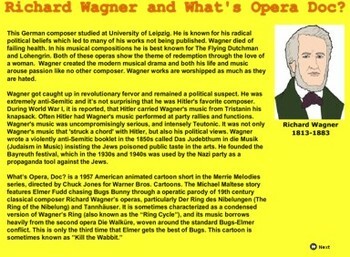 Romantic Music - Richard Wagner and What's Opera Doc? *Runs off the Flash Player - Check to see if you have the updated Free Flash Player. Go to http://helpx.adobe.com/flash-player.html to update your computer. More Romantic music from the Romantic Composers. 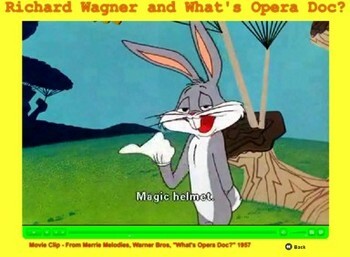 Richard Wagner and the movie clip from Warner Bros. cartoon "What's Opera Doc?" Works great on a white board!